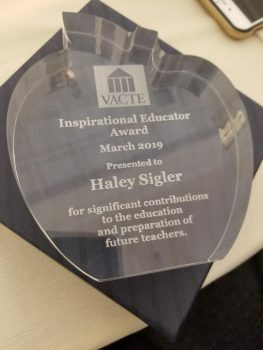 W&L’s Haley Sigler Receives Inspirational Educator Award Sigler was nominated her for the award by a current student. 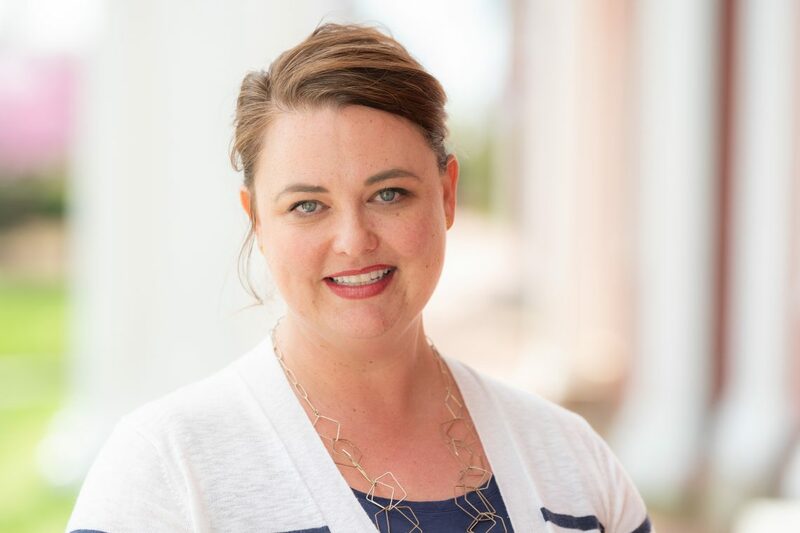 Haley Sigler, director of the Teacher Education Program and associate professor of education at Washington and Lee University, received an Inspirational Educator Award at the joint meeting of the Virginia Teacher Educators and Virginia Colleges of Teacher Education at the University of Richmond in March. 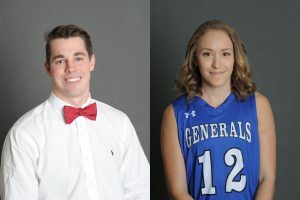 Sigler’s student Layne Setash ’19 nominated her for the award. Setash also received a Distinguished Teacher Award at the conference. 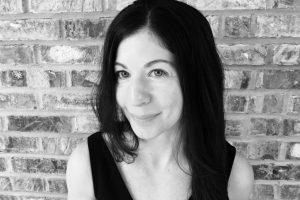 Sigler earned her bachelor’s degree in elementary education from the University of Kentucky in 2001, her M.A.T. at Hollins University in 2005 and her doctorate in education, curriculum and instruction from the University of Virginia in 2008. Sigler received an Inspirational Educator Award.